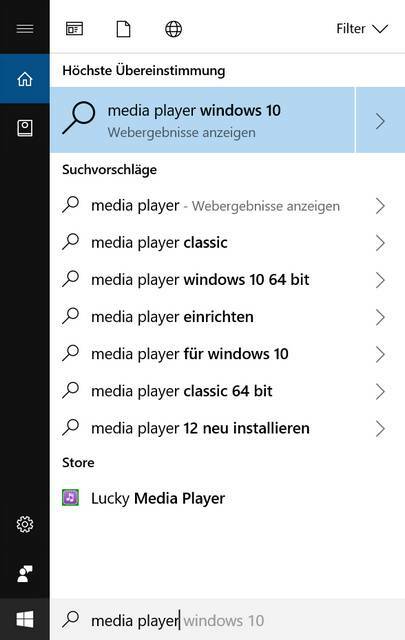 [German]It seems that Microsoft kicks the Windows Media Player (WMP) out of the list of installed features in the upcoming Windows 10 Fall Creators update. If you need the player, you have to re-install it later. Until now, the Windows Media Player was on board and pre-installed in Windows 10. If you enter Media in the search field of the taskbar, Windows Media Player will be found and displayed as a hit in the Start menu. 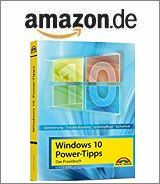 Today I was suddenly offered a FeatureOnDemandMediaPlayer update (KB4046355) on one of my machines (a 64-bit Windows machine) running Windows 10 Build 16299.15. On 32-Bit system with Windows 10 Build 16299.15 this update hasn’t been offered. When I searched for the KB4046355 update, I came across this forum post. There some user mentioned, that after installing the KB4046355 update, the Windows Media Player had disappeared. The same discussion may be found at reddit.com. I then ran the test on the machine and let install the update. A search using the taskbar’s search box actually revealed that Windows Media Player had been removed from the machine as features. To use the WMP again, you have to add it as a feature. PS: Unfortunately, I also noticed that the last cumulative update, which raises Windows 10 Build 16299.1 to build 16299.15, doesn’t like a restart during the update installation. I booted the test machine during install to finish the FeatureOnDemandMediaPlayer update because the cumulative update has been installing for hours. Afterwards I found the info that the installation of the cumulative update failed (error 0x80240034). Now some updates are waiting to be downloaded without the download starting. After a second, secure restart, the download error 0x8000000b is displayed. Addendum: After two restarts the update is now installed. 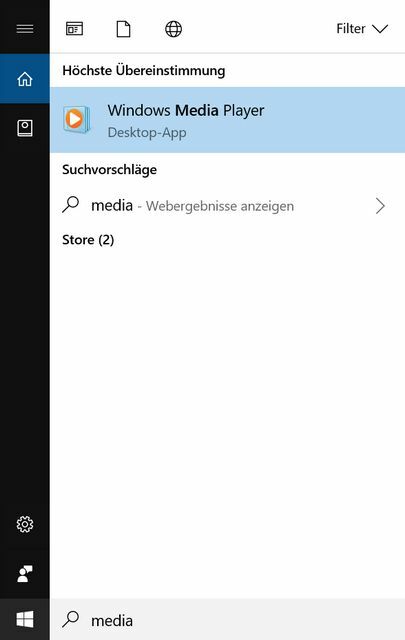 When I checked the events, I noticed that Windows 10 has downloaded and installed a lot of apps in the background via Windows Update. It’s probably also the reason why Windows 10 sometimes need a long time until other updates are downloaded and installed. According to Mary Jo Foley it’s just a bug. This entry was posted in Update, Windows and tagged Update, Windows 10 Fall Creators Update, Windows Media Player. Bookmark the permalink. Couldn’t Agree MORE!!!!!!!!!!!!!!!!!!!!!!!!!!!!!!!!!!!!!!!! !Biggest Mistake I have EVER Seen MICROSOFT DO?????????????????????????????????? WHY???????????????????????? ?As MUSIC LOVERS LIKEWE ARE, IF I COULD< WE WOULD GO AND THROW ALL OUR MICROSOFT PURCHASES IN THE TIP, JUST BECAUSE OG THIS STUFF UP ON THEIR BEHALF, SO MUCH FOR CAREing ABOUT THEIR CURRENT AND FUTURE CUSTOMERS!!!!!!!!!!!!!!!!!!!!!!!!!!!!!!!!!!!!!!!!!!!!!!!!!!!!!!!!!!!!!!!!!!!!!!!!!!!!!!!!!!! ?